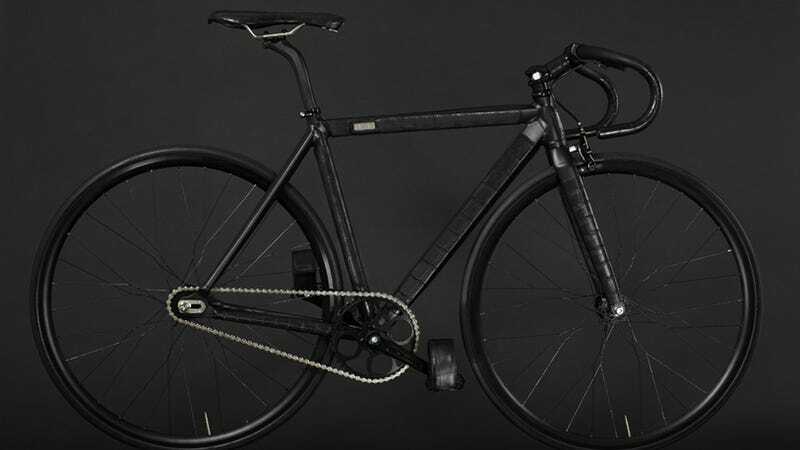 From a distance, this bike looks like a stealthy cycle in plain black. Get a little closer, though, and you'll realize that it is, in fact, covered in luxurious crocodile skin. A concept in "reclaiming mass produced and generic objects by re-issuing them as individual and unique pieces," it was put together by Paris-based Watch Life With Curiosity. The handcrafted fixie required 90 hours to put together, much of that eaten up by its unique crocodile skin cladding.